Max and I have often chatted about how our (future - not anytime soon!) kids will experience a much different world than we ever did. 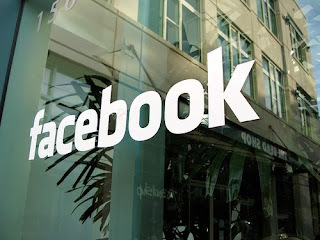 Cell phones, Internet, laptops, HD television and yes, even facebook. When I was working at my last school, I would come home with stories from the other teachers, moms who were debating when and at what age it was okay to let their children make facebook accounts. Belonging to the social network at a young age might risk the student's privacy as well as open a door for Internet bullying which is becoming more and more frequent. I don't think that our parents could have even imagined something like this. Facebook is definitely on my mind after seeing The Social Network, the movie that depicts facebook's journey from its origin. Founder Mark Zuckerberg is quoted as saying that the movie is a "work of fiction" however the timeline was presented exactly as I remembered it. May 2005 was when one of my grad school roommates alerted me to the "college only" website. Apparently this was about a year and a half after it had been created for "Harvard students only" and it was already at a university on the California coast - true to what the movie pictured, the website did "spread like wildfire." Back then it would have been hard to believe that this network for college students would grow to include countless workplaces and high schools as well. At the time you could literally click on the classes you were taking that quarter and the site had a limit of something like 30 photos that you could upload (I'm pretty sure it's limitless now). The movie also brought me back to another time - living in the Silicon Valley post-college. Part of the movie was about the jump to including advertising (monetizing the site) and the need for Silicon Valley investors. At one point the group of creators say that they're moving to Palo Alto, to a house just two block from Stanford. I wanted to talk back to the movie and say: Oh, Max used to live two blocks from Stanford! Later the Palo Alto facebook office was shown and it reminded me of the many times Max and I had passed it while walking down University Avenue. Sigh. The Bay Area is a wonderful, beautiful (albeit expensive) place to live and I feel so lucky to have lived there for even a few years. 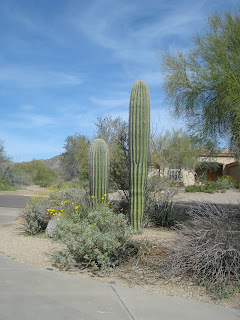 It's okay - we have Saguaros now!